Summary: Here is a comprehensive guide to working with a legal recruiter. It covers what a legal recruiter is, how to select and use one, and frequent questions they get. This comprehensive guide to working with a legal recruiter covers all aspects of legal recruiting from an attorney's perspective. It contains articles written by experienced legal recruiters that discuss what a legal recruiter is and what one can do for you. It also has a selection of articles dedicated to helping you select a legal recruiter that is right for you. The next section features articles written specifically about getting the most from the recruiter you select, followed by articles discussing whether you should work with more than one recruiter. The final section covers questions that legal recruiters are often asked by attorneys and their responses. Recruiters generally follow ten steps to get you working for a major law firm. The first step lets the recruiter evaluate if you have the qualifications to be placed with a major law firm. Assuming you are qualified, you will move on to the next three steps. The fifth step only happens if the law firm likes your application and wants to schedule an interview. The next five steps happen if the law firm is still interested and wants to keep the interview process going. A good recruiter is able to make their candidate look more appealing to law firms. An effective Unique Selling Proposition or USP will set the candidate apart by addressing the need that the law firm has that the candidate can fill. A clear and concise USP sentence is used multiple times in the cover letter by the recruiter to the law firm and by the candidate during interviews. A recruiter is an advocate that has the ability to get your resume in front of the right people. The best recruiters have spent years developing relationships with law firms for the benefit of their candidates. A recruiter also acts as a screening tool for law firms by gaining more details that a cover letter can't explain such as gaps in employment and leaving current employment. Recruiters are the most effective for strong candidates since they are the type that law firms want. Recruiters collect their fees from law firms, usually larger ones with 20 or more attorneys that end up employing a candidate. Many attorneys use a recruiting service since the legwork required for finding positions requires more time and effort than most attorneys have in a day. Recruiters know what talents a law firm wants and needs, acting as a kind of talent agent for the legal profession. Recruiting businesses are like most other businesses and have expenses for advertising, payroll, and office overhead. BCG Attorney Search has expenses for several offices, stationery and all the many forms of technology they use. This technology includes vast databases that are built by programmers and designers, website software to keep personal accounts for clients, and the maintenance for these programs. The best recruiters stay current on the happenings of the industry. They study the hiring trends and their candidates. A recruiter will spend a lot of time really getting to know their candidates so they can find the best law firm to fit them. Then they do the same with each law firm they work with to really discover the truth about what it is like. Recruiters find their candidates by referrals, calling them at their current employment, or by the candidate seeking them out. The three types of recruiting are the market penetrator, the cougar, and the database lover. The market penetrator studies the entire industry, and through force and aggressiveness will find placements for candidates no matter what. The cougar gets to know the firms first and then waits or searches for the perfect candidate for that firm.The database lover studies the active openings in the recruiting firm's database to find positions that match their candidates. The recruiting profession is one of education, in that they know more about several practice areas than a typical practicing attorney does. Each recruiter prepares differently. One method is to thoroughly analyze the candidate's resume, challenge the candidate to write an "I love me" email, compare their credentials, package and market the candidates' qualifications, match the candidate to firms, communicate with the firms, and then help place the candidate. Finding a job yourself is possible, since a recruiter cannot help every lawyer. First year associates generally find a job while still in school and do not have the preferred qualifications to make them strong applicants for the type of positions that recruiters work to fill. There are always exceptions to this, however, and a recruiter will often give an associate a better chance of successfully finding a position. The 10 reasons to use a recruiter are that they diligently research available opportunities, match you with the right job, get you in the door, help prepare your resume, respect confidentiality, move your career forward, prepare you for interviews, assist in salary negotiations, take care of the details, and provide moral support. The best recruiter never gives up, even when the job placement may be a challenge. They will do all they can to find current and future candidates the job they want. The best legal recruiters are experts at what they do and know the ins and outs of the legal market. They develop genuine relationships with their candidates and law firms. A legal recruiter can help you every step of the way, even when you are not seriously thinking of looking for a new job. Finding the right fit for a candidate can take up to a year, so starting now will help you get prepared for when that dream position opens up. The best legal recruiters are busy, so while they try to answer all calls or have a colleague respond, there sometimes is not enough time in a day to accomplish what they want. Law firms pay legal recruiters, so that means they don't get paid until you get hired. Those that are looking for their first legal job or lack strong academics and large law firm experience will have better luck finding a position on their own until they become a better qualified lawyer. Conduct research, just like you would for any service provider, to find one you trust and can get along with. A recruiting firm helps those that are relocating and don't have the time to research new law firms on their own. Law firms use recruiters because they need the most qualified candidates to ensure they can keep taking cases that bring in revenue. Not all recruiters are trustworthy or care about finding a good fit for their candidates. Recruiting firms offer more than just job listings. Not all recruiters are the same or offer the same quality of service. Most are small operations that aren't able to give the most help available, and are not in the business for the service, but only the paycheck. Some recruiters will also help paralegals and legal secretaries, taking their focus away from knowing everything and helping only attorneys. Some recruiting businesses make their recruiters cater to only a couple firms, even when a candidate would work better at a different one, while others only have good relationships with a few firms, which limits their ability to make placements. The pedigree of a legal recruiter should not matter as long as they are delivering the best results for their clients. Some recruiters that were lawyers feel like they are entitled to help you find a job without actually caring and putting in all their effort to find that job because they have amazing credentials. Recruiters without law degrees are often better at thinking outside the box to help their clients. Recruiters do a lot more than just sending out resumes. While they must send out resumes to law firms, they are also talking to attorneys and law firms all day, scheduling interviews, preparing candidates for the interviews, reviewing job openings, preparing resumes, attending conferences, and writing articles. All of these things help prepare the recruiter to send out the resumes. Your career and livelihood depend on your understanding the difference between legal recruiters and legal placement professionals. What happens to you could very well be determined by whether you choose a recruiter or a placement professional to assist you in your legal job search. Countless legal careers have failed and gone nowhere simply because the attorney had the misfortune of working with a recruiter instead of a placement professional. The best recruiter for you is one that understands what you do and want to do. They are knowledgeable about firms and areas of the law. They are respected in the industry and come recommended by others. Do your own research before deciding on a recruiter. Choose a recruiting company with an excellent reputation and track record. Some companies work more with specialties or just the top associates. The recruiter needs to enjoy what they do and strive to place each candidate with the best fit. A good recruiter is energized by what they do and wants to share that passion. Legal recruiters are able to identify the best position for their candidates; however, the best recruiters do not work with everyone. Law students do not make good candidates for recruiters because law firms are only looking for stars, not first year associates. A good candidate is in high demand and sought after by the top law firms. You want to choose a recruiter that you work well with and who understands your expectations in a job. The more you communicate with your recruiter, the more they will be able to help you find a job that works for you. The recruiter also has the firm's interests to protect, so they want to communicate with you so that they can be sure that a certain law firm is a good match for your personality, talent, experience, and qualifications. Associates need to take the time to select the right headhunter for them. There are certain questions that need to be asked so you can feel comfortable with your decision. 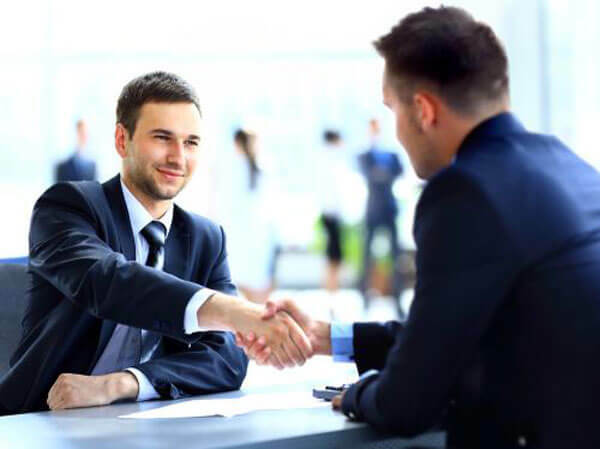 You are placing a great deal of trust in someone to help you find a job, so you need to be confident that you will want to stay at your new job for a long period of time. You need to do your part to get a legal recruiter working for you. Obtain impressive academic and professional records. The time to start working with a recruiter is before you are looking for a new job. Be honest with your recruiter so they are able to accurately help you stand out to law firms and get placed with the right one. Seek out a recruiter that has great interpersonal skills, productive marketing expertise, is honest, timely, and passionately works as your advocate. The right recruiter for you will be able to communicate professionally and with a style that fits you. The recruiter should be willing to help you with your resume so that they can write the most effective cover letter for you. They will respond quickly to your emails and phone calls. If you want a legal recruiter that will aggressively market you to law firms then choose a market perpetrator recruiter. If a more old-school style of recruiting where they wait and know when the perfect position becomes available for their candidate suits you then choose a recruiter that follows the cougar style. The database-lover recruiter focuses on active job listings and does not necessarily wait for potentially perfectly matching positions to become available. Advocacy is a big part of being the best recruiter. They will know how to market your skills and have the connections to brag about you to law firms. An effective agent will also have goodwill, ethics, competitive, and navigational skills. They will have a track record that yields results for the candidate. A recruiter can’t do all the work; they need you to do your part by being honest and enthusiastic about what you do. If you don’t enjoy being an attorney, don’t expect the recruiter to be able to make you like it or convince a law firm that you do. In the end, you are a reflection of your recruiter, so they will only work with those that will make them look good too. Give your recruiter all the information they need, plus more that you may think they need such as personal facts and reasons why you are looking for work. The more information they have, the better they can present you as a whole package to law firms. Just like you expect your recruiter to be timely in responding to you, they need you to be responsive too. You never have to stay with one recruiter. If they don’t work for you then move on to one that will. Ask your recruiter to provide you with a list of firms they plan on sending your resume to so you can provide a list of firms that you are interested in. Most law firms use recruiters for positions that require some experience, so the more experience you have, the more time it may take a recruiter to find you the right position. You can also approach some firms on your own while using a recruiter for other firms. Most in-house positions are given to recruiters that have a relationship with the firm, so by using more than one recruiter, you have a better chance of getting the position. If you are seeking a lateral move to another firm, using more than one recruiter may not be as effective. Recruiters will not be excited about you only allowing them to send your resume to ten firms so that another recruiter can send your resume to another ten firms. In most circumstances, you should not send your resume to the same firm through different recruiters. Sending in multiple copies complicates the referral process and reflects badly on your professionalism. Ultimately, it is best to get a list from the recruiter of where they have sent your resume and the status of each. It is always best to be loyal to one recruiter that you like for a certain amount of time so that you can be sure that the recruiter has exhausted all efforts to find a position for you. You do not have to always stick with the same recruiter, but working with more than one at the same time is a bad idea. A legal recruiter will be loyal to their candidate if their candidate is loyal to them. If a recruiter finds that you are using another recruiter at the same time, they may be less likely to work as hard as they can to find you a job. It is important to remember that a recruiter only gets paid if you get a job, so doing a lot of work for no reason is not ideal for anyone. Why Aren't Recruiters Interested in Recent Graduates? Law firms receive numerous applications from recent graduates that they can choose from for free, so there is no enticement to have to pay the recruiter fee. Law firms only use recruiters to find rare talented attorneys with experience and exceptional track records. Contemplating switching recruiters because you don't have any results may be a smart choice if the recruiter is no longer actively advocating for you. The other reason for not having any results yet is that you have not done your part to be a stand out candidate. The best way to switch firms is to use a recruiter and then use any contacts at those firms later down the line. The recruiter will be able to provide the most professional introduction to the firm, whereas you don't know how your contact is introducing you to the firm or the reputation of that contact at the firm. Your relationship with your recruiter is based on trust, so in order to maximize the effectiveness of your relationship, you need tell them everything. Giving a full-disclosure will allow your recruiter to know best how to work with the situation whether it is from lack of work or as a result of an incident. It is always best to be honest with your recruiter. They will know how to make the best of the situation and can focus on marketing your skills to find you another job. The truth always seems to come out at some point anyway, so it is best to address it at the beginning instead of later during the hiring process, when it may cause you to lose the position and your recruiter's trust. Recruiters ask for transcripts because many law firms consider an application to be incomplete until they have your law school transcripts. For intellectual property associates, their undergrad work is just as important as their J.D. if they are being considered on the basis of an undergraduate technical degree. Official transcripts are usually required at some point in the hiring process. Before submitting your resume through a friend at a law firm, it is important to know their reputation at the firm and if they are really a friend or the competition. Also, even a friend will usually not take the time or effort to ensure that your application gets in front of the correct person. Not all recruiters are made equal. While some may be out for a quick buck, BCG Attorney Search is out to create a relationship with the candidate. It never hurts to have a relationship started with a recruiter before a layoff happens or any other bad situation. You can tell your recruiter what you are looking for and set the guidelines for applying to law firms. When seeking to make a lateral move, it is best to not let anyone know until you have accepted an offer from a new firm. It is best to use your personal email and phone account instead of office accounts to avoid using office resources and drawing attention to your job search.